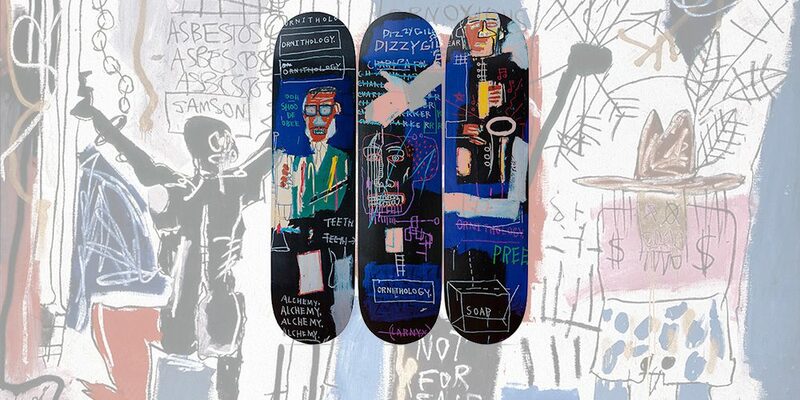 MoMA Design Store has once again teamed up with the estate of Jean-Michel Basquiat on a new series of decks. The trio features details from Basquiat’s Horn Players , and can be purchased as a set via the MoMA website for $550.00. This latest offering follows up on previous Basquiat deck releases from 2017 and 2014, and is currently on backorder until December 2.